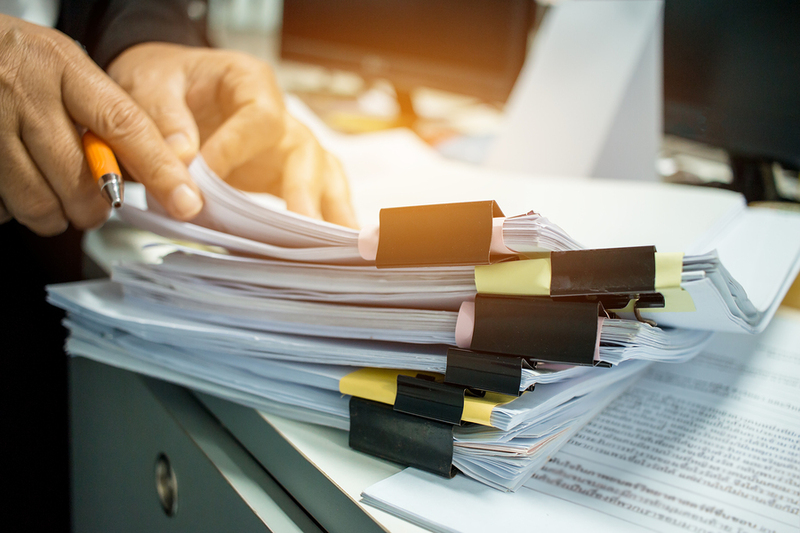 Which Documents Do You Need to Retain? In today’s day and age of online transactions, it can be difficult to wonder if we still need paper statements or documents at all. Of course, we all still have paper records, but how long should we hold on to them? Can we shred some and purchase a smaller filing system? Will retaining certain paper documents help if we become ill, injured, or suddenly pass away? 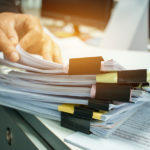 The following are some brief guidelines for retaining important paperwork, though you should discuss your specific situation with a trusted attorney. The above should be accessible should you need them, and your attorney and the named executor of your estate or successor trustee should also have copies of your relevant estate planning documents or should know how to access them if you should die or become disabled. Medical records – Keep treatment records for at least five years, though you always want to have records with the contact information of your physician and pertinent health information and history, including medications and allergies. You may want to keep for a longer period in case you need to prove the onset of a disability. Any supporting tax documents – The IRS recommends keeping most documents for three years from the date of your return, or for seven years if the documents relate to certain tax deductions and losses. You should also keep home purchase and home improvement receipts until property is sold in order to establish a higher cost basis. At Goldfarb Abrandt Salzman & Kutzin LLP, we provide legal advice to our clients on a wide range of matters to ensure they have sufficiently planned for the future. Call (212) 387-8400 or contact us online to discuss your estate planning questions today. LIVING TRUST – IS IT RIGHT FOR YOU? Should I Have A Will? by Jeffrey G. Abrandt, Esq. Breaking News: New York will apply new Medicaid budgeting rules for home care. What Is a Generation-Skipping Trust?